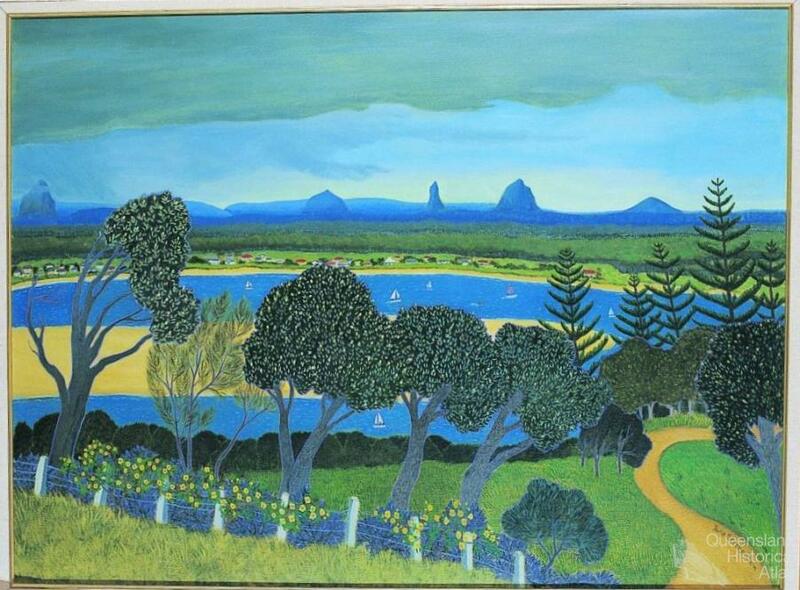 June Stephenson, Rain cloud over the Glasshouse Mountains 1979. Oil, glazed over acrylic tempera, oil colour worked into wet glaze on commercially prepared canvas, 90.4 x 121cm. Collection: Queensland Art Gallery.